NR Studios hosts Dario Grasso: Uncomfortable Guest, a solo exhibition of 13 artworks that visualize the effects of a modern lifestyle on the emotional state of individuals. Grasso’s paintings express violence, distress, and negligence though their highly textured surfaces, depictions of deformities and injuries, and overall sense of chaos. Using the figure as his primary means of exploration into these themes, Grasso hopes his works provide an opportunity to practice confronting our more vulnerable emotions. 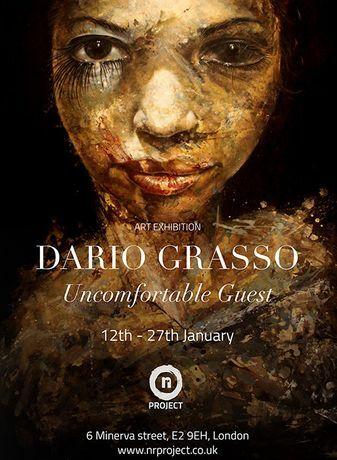 The exhibition will run from the 12th to the 27th, Monday to Saturday between 10am to 6pm.